Das Boot getting a taste of winter. 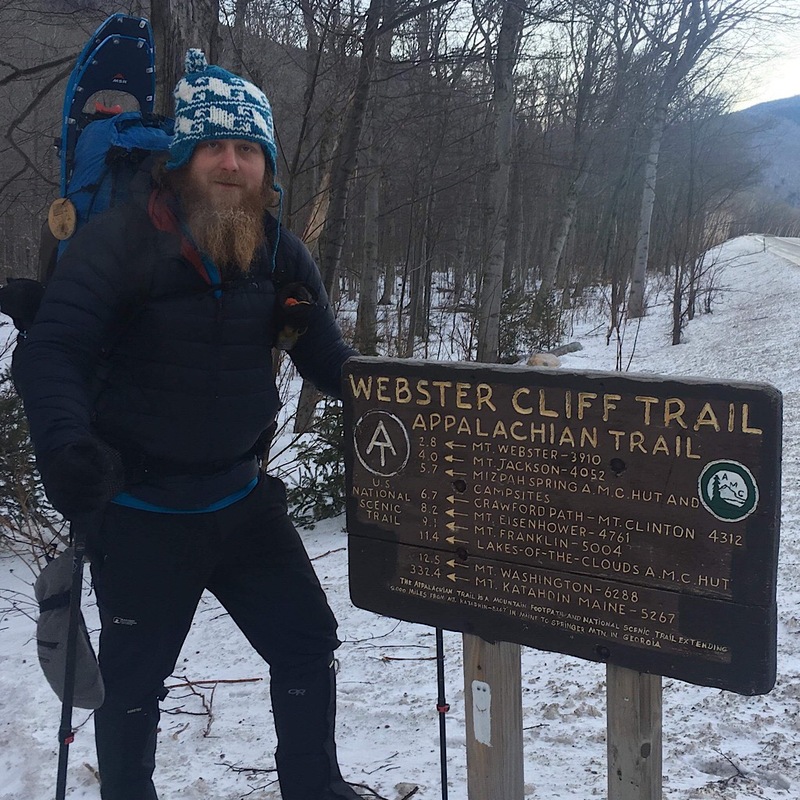 Imagine our surprise when we learned a very late season northbound Appalachian Trail (AT) thru-hiker was in the area and requested our assistance. 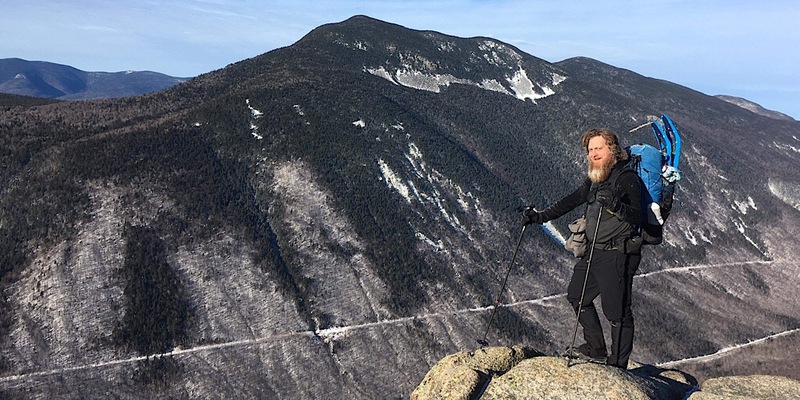 Devin, who goes by the trailname “Das Boot” (like the movie, but not inspired by it), was stopped in Lyme, NH, and was seeking winter support for sections of the state as well as bits of Maine. 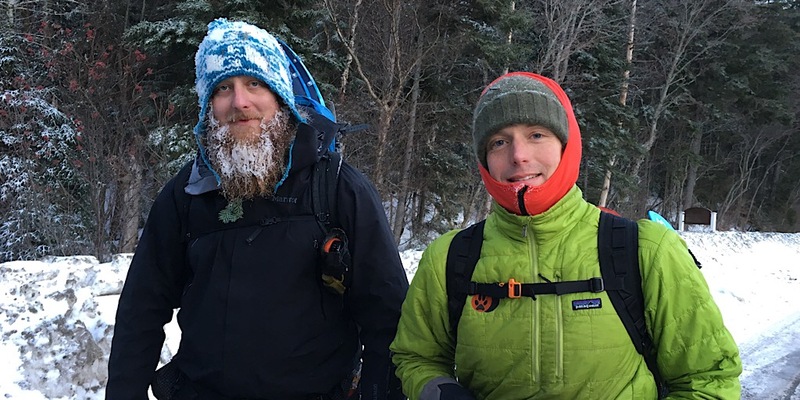 Devin, being from Florida, was new to winter backpacking and needed help adjusting. Until New Hampshire he had been just fine slowly working his way northward in an intentionally relaxing manner. Once he hit the ice cold wall of winter in the western part of the state, though, he realized it was time to do a reset. Devin wasn’t concerned about doing the state in order deciding that sectioning it might be a better way to go. We agree, it allows for greater flexibility and safety. Our first section was a pretty bold two-day Presidential Traverse. 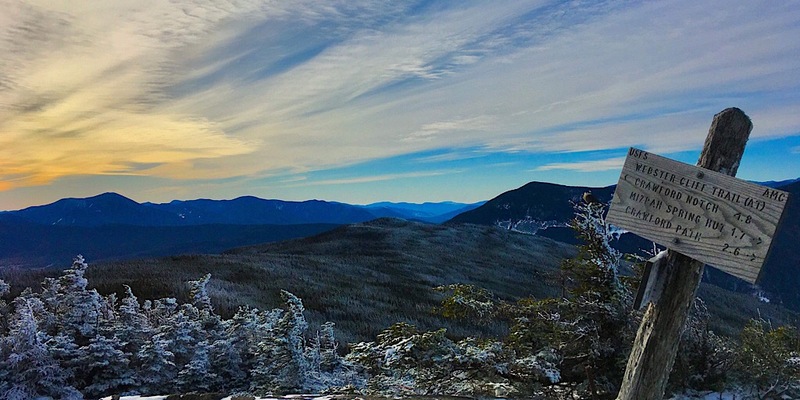 Bear in mind, the AT Presidential Traverse is not your typical traverse as most New England hikers know it. You don’t have to summit everything, only Webster, Jackson, Pierce, Washington, and Madison, but you do start on 302 taking the Webster Cliff Trail up, and the exit at the other end drops off of Madison all the way to Pinkham Notch on Old Jackson Road. This is around 30 miles, some of which would be on difficult, unbroken trails. 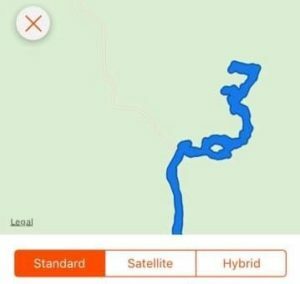 Ryan’s GPS track after Jackson. Before the traverse, though, Devin needed to reset his gear so we helped with recommendations as well as providing a day of winter training. (More may be needed in terms of winter camping, but it was enough to get things started.) We awaited a weather window, got our moment, then with Redline Guide Ryan Welts in the lead, Devin started north off of 302. The plan was to go all the way to GrayKnob — about 18 miles. It’s an ambitious day with a big pack, but the weather at least was in their favor. During the past month during this reset, however, Devin hadn’t been hiking as much as he had been. 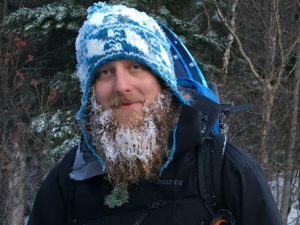 He soon found the rigors of carrying the now much heavier winter backpacking pack were going to take some getting used to. 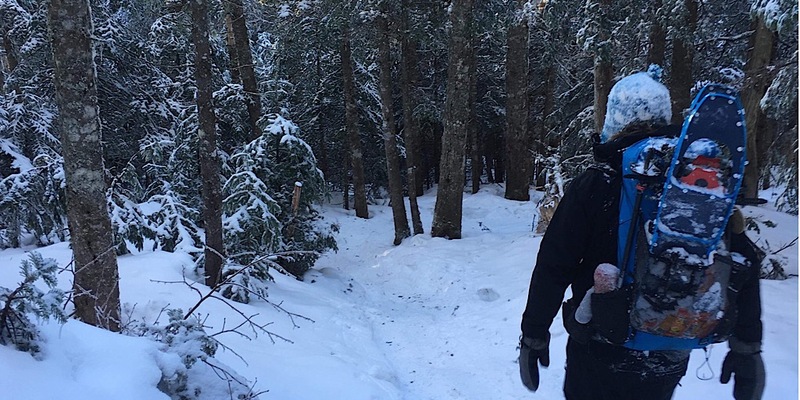 The pace he had hoped to achieve on the ascent proved impossible forcing the duo to make way at a more normal “book time” pace while heading up the mountain. Unfortunately the day was flying by while the miles were not, the limited daylight at this time of year was waning fast. It was decided on Jackson to bail at Pierce since the next logical bailout after that was a ways away — it was clear that for now this was going to have to be broken down into smaller sections. Not too far beyond Jackson, however, the duo encountered very deep, loose snow. They did have snowshoes for flotation but they soon found the “trail” suddenly ended into a number of dead ending branching paths created by others. It was starting to look like even Pierce wasn’t going to happen. We discussed it via text and Ryan wisely decided to call it at Jackson, with our support and well as Devin’s. It proved to be a good judgement. The team was out before dark, but even before the car shuttling was done, we were well past sunset. Das Boot: Back to where he’s been for the past ten months. Photo by Ryan. Das Boot atop Webster Cliff. Photo by Ryan. The way out… for today. Photo by Ryan. The final view… wow. Photo by Ryan. Welcome back, gentlemen. Photo by Mike. The plan continues. Very soon we will take on another section. We feel bad that the plan didn’t go as we had hoped, but Devin is in good spirits and ready to take it on as he needs to. They say NH and Maine provide the biggest challenges. We say, Ayuh!